Uncharted: Drake’s Fortune | Geometry saves the Earth! Since I always try to use a screenshot in these “Finished” posts, I’m going to start describing my impressions of the games starting from the images. And in this case, the image is of Nathan Drake, treasure hunter and the protagonist of Uncharted who is vaguely reminiscent of Indiana Jones or Lara Croft. I immediately had to think back to Prince of Persia, because he’s being voiced by the same voice actor who also did the prince, Nolan North. And in retrospect the design of the prince-character is somewhat similar to Drake. However, there are a lot of differences between the games. 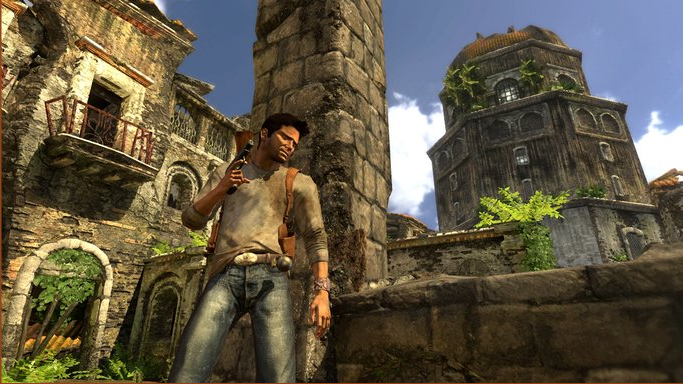 Uncharted consists of a mixture of Tomb Raider-like exploring and combat using a cover game mechanic. I liked the former way more than the latter. Especially in the end, the fights become pretty frustrating and always follow the same pattern. Worst of all, the game only saves after beating several waves of enemies, so if you die before that, back to the beginning of the fight it goes. But it’s all made up by the graphics and some very well designed moments. Funny enough, I’m currently reading the book “Game Engine Architecture” by Jason Gregory, who is a programmer at Naughty Dog and who uses some examples from the Uncharted engine in the book. I have to say, it’s so far left a very good impression with me. From the books on the topic I have read so far, it’s the most useful I know, especially since he handles a lot of details necessary for implementation. 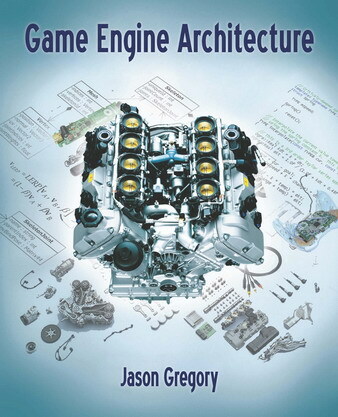 Compared with the books by David Eberly, this book shows the interrelations between engine and game much better.